A Little Time and a Keyboard: March Degustabox Goodies!!! 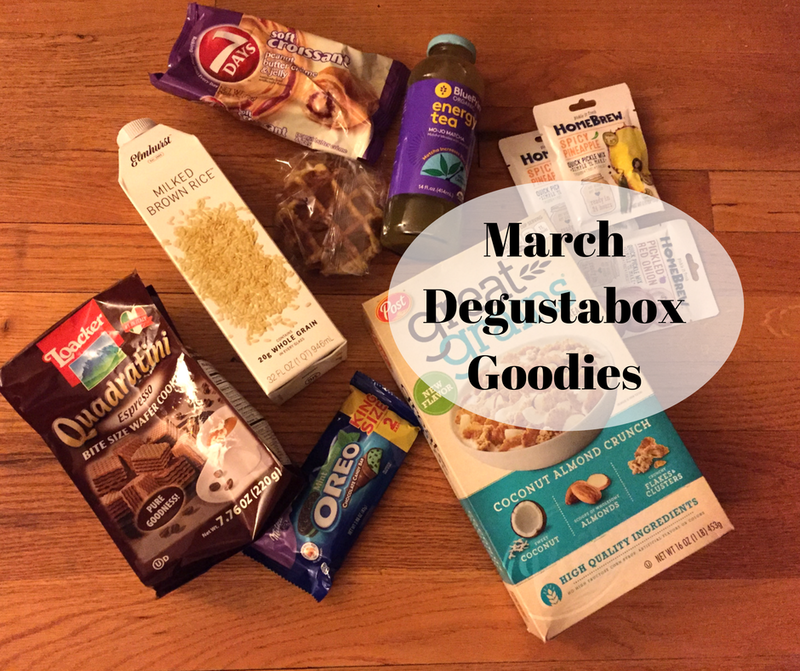 I have been receiving Degustaboxes for quite a few months now and I have to say I am surprised by the content every time! I never know what to expect, yet each month I receive something I LOVE. Each box is a little adventure for the month, so a lot of fun packed in! 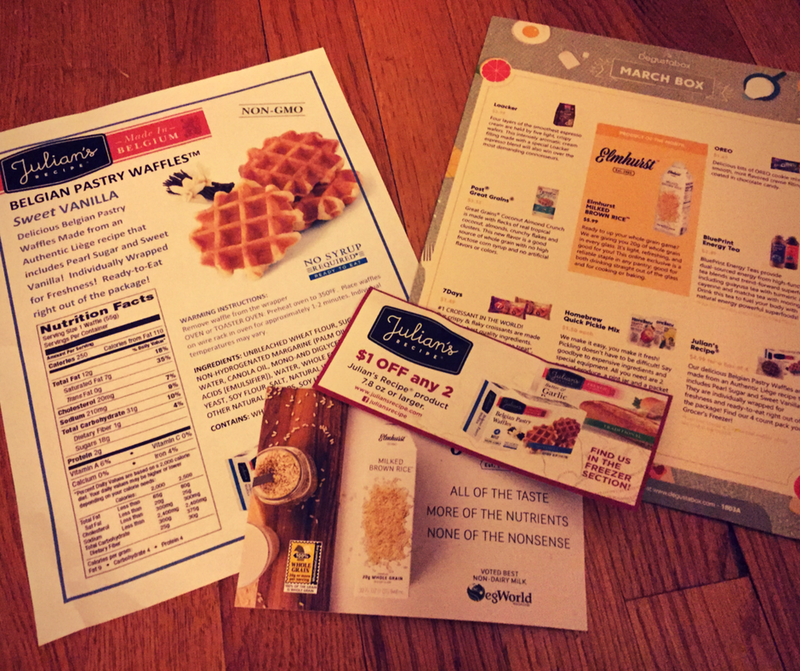 In addition to our food treats, Degustaboxes often have informational sheets and coupons enclosed. There also is a monthly key with information about your foodie treats. A couple of the items from this box I snagged right away happen to be the Homebrew Quick Pickle Mix and the Oreo Chocolate Bar. We have a road trip ahead, so I am sure that my daughter will LOVE the Oreo Chocolate Bar as a treat. I grow pickles in the summer, so I will use the mixes then. Winter and spring for our family is peppered with volleyball tournaments. So, I usually grab some easy treats from my Degustabox to bring along. This past weekend, I brought Loacker Espresso Wafers. They provided a great treat! Each one is a little square, so I did not feel too indulgent. Just a little sweetness with my packed picnic lunch. These waffles are delicious! I am surprised by how fresh they taste. I put some preserves on mine but really they were sweet enough that they did not need any. My particular waffle was vanilla and it did have a lovely vanilla taste. I also tried the BluePrint Energy Tea Mo-Jo Matcha. I am always looking for natural beverages that will help energize me during the day. This tea is not sweetened which is a huge plus! The taste overall is light and a nice pick me up for the day!